The internet is full of anti-Israel propaganda, Israel is subjected to constant boycotting campaign, polls set out to determine "how much time does Israel have to live?" and one poll even revealed that Israel was the most negatively regarded country in the world (in good company, mind you, with Iran). Of course, not everything is rosy. Several European countries, for example, have big problems with Israel. Our ambassador to Dublin, Zion Evroni, said: "Israel is harshly criticized among several circles here, especially in the media and the parliament. Most of the criticism relates to the Palestinian issue and the overuse of force during the Second Lebanon War." Why are the Irish so mad at us? Evroni explained that the Irish compare the Palestinians to themselves and create a parallelism between their struggle against Britain and the Palestinians' struggle against Israel. "The Irish feel solidarity with who they perceive as the weaker side in the struggle, the victim," he said. However, it appears that overall, the very bad image we had due to the second intifada is now improving. Amir Gissin, head of the Foreign Ministry's public affairs department, can feel the winds of change: "The European narrative has been changing in Israel's favor over the last year. The same process began in the US earlier." Gissin stated that European interest in the Palestinian cause winded down as they began to grasp the extent of the Muslim threat in Europe. The Second Lebanon War brought about the realization that the conflict was not between Israel and the Palestinians, but rather, between moderates and extremists. "In the three biggest countries in Europe – UK, France and Germany – public opinion polls are showing improved positions towards Israel. The war exposed Iran and Syria as countries that supported terrorism, intent on creating instability," he maintained. "It is not that the Europeans like us more," stressed Gissin. "Israel will always be perceived as a democracy that uses excess force. Earlier, the Palestinians were perceived as David fighting the Israeli Goliath. Now, after the war and after Hamas gained power, they realize that the Palestinians are not all in the same boat. There are the Hamas extremists and the more moderate Abu Mazen (Mahmoud Abbas). "The Europeans are not expressing remorse; they are not saying 'we were wrong'. They do understand, however, that they cannot stand by idly while the extreme coalition creates instability. They see the terrorist organizations gaining influence and understand that Muslim terror will attempt to use weapons of mass destruction. They are not putting heavy economic sanctions on Iran yet, but the awareness is there," he said. "The UK is the weak link in Europe, as far as Israel is concerned. Public opinion towards Israel is worse than it is in France and Germany. The Britons still do not fully understand the Iranian threat," he asserted. 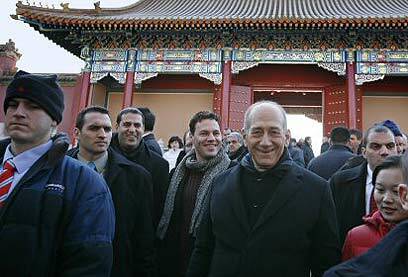 Israel's ambassador to France in the last four years, Daniel Shek, said that alongside the pro-Arab extremists, a positive trend toward Israel was developing. According to Shek, the French are tired of hearing about the Mideast conflict that is regularly in the headlines. "The impatience has caused apathy. They are tired of hearing about our problems, and this is not at all bad for Israel." At the same time, a positive trend, expressed in better trade relations and tourism between the two countries, is becoming evident. Iran's pursuit for nuclear weapons put forward the conflict's regional proportions. The conflict is becoming viewed as a conflict between the free world and the fundamentalists, and the French have started to see the conflict in a more complex manner than before. France and Israel are on the same side, as far as Iran is concerned. In America, unlike in Europe, the situation could probably not get any better than it is. "Many countries envy our steady, intimate relations with the US. That's amazing when you consider the proportions between the two countries," Reda Mansour, general consul in Atlanta, told Ynet. "During the war," said Mansour, "even Lebanese Americans supported Israel. They understood that Hizbullah posed a threat to Lebanon and not only to Israel. Most of the criticism towards Israel was that we pulled out when we did and did not continue the military action. 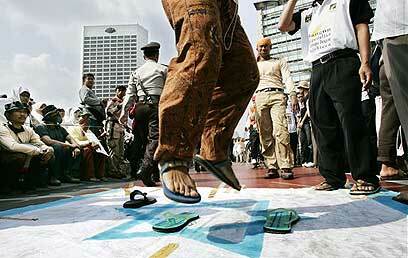 "The Chinese have great respect for Jews in general, and Israel in particular. We have gained recognition here because of technology, high-tech and agriculture." said Israeli Consul General to Shanghai, Uri Gutman. "Israel is a role model for China and the Chinese try to learn from our creativity and entrepreneurship. They try to understand how we managed to achieve so much in less than 60 years," he added. The Mideast conflict does not evoke much interest in China. The Chinese are in the midst of a huge economic boom, so they are less interested in politics. They prefer to enjoy the abundance instead of dealing with conflicts. "Relations between Israel and Nigeria are very good," said Israel's ambassador to Abuja, Noam Katz. "In the BBC poll, according to which Israel was the most negatively regarded country in the world, the only two countries that rated Israel positively were the US and Nigeria," he said. Amir Gissin concluded: "Since the Six Day War, the world has defined the Middle East as the place where Israel and the Palestinians were in conflict; anything that happened here was understood in that context. This started to change last year." Will the positive trend keep up? We are probably better off, diplomatically, not answering that question. See all talkbacks "The world adores us"